There still appears to be some confusion concerning whether or not persons with insulin diabetes are able to obtain a CDL license. For years, there was a ban that prevented those with diabetes who used insulin from driving commercial vehicles within interstate operation. 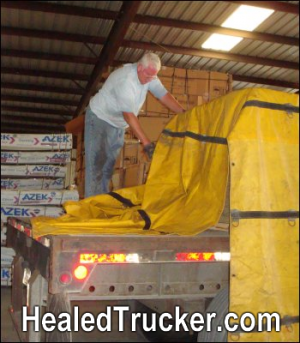 However, in 2003, the FMCSA introduced the Diabetes Exemption Program which allowed individuals with insulin treated diabetes the ability to operate a CMV in interstate commerce. In the beginning, this new regulation still had its problems. Mainly, it still required that people with insulin diabetes must have already driven commercially for the previous three years. If not, they would not be qualified for the exemption. Therefore, this three year rule made the new regulation, basically worthless for any new, potential CDL holders. This three year rule made it so difficult, that from 2003 to 2005, only four exemptions were issued. Then, in late 2005, everything changed for the better. Due to the effort by the American Diabetes Association, President Bush signed into law, doing away with the three year requirement. There is no longer any need to show previous commercial driving experience, even if you are on insulin. However, there still are 57 other screenings, guidelines and provisions that one must pass in order to be granted the exemption. 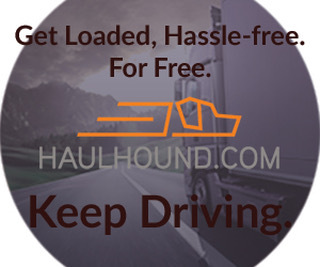 Also, one must abide by any particular state requirements in regards to the commercial driver license. There are many questions and answers floating around the net stating that it is not possible to receive a CDL if you have insulin diabetes. The Truth is . . . it is now possible to do so, with some exceptions, thanks to the new regulations of the Diabetes Exemption Program, signed into law in 2005. Until the physical qualification standards within the regulations are amended by the FMCSA, you will have to apply for the exemption. Here is the 16 page Diabetes Exemption Form you can download and fill out. You will have to be evaluated by an Endocrinologist and an Ophthalmologist or Optometrist, and the form has areas that will need to be filled out by the doctors. The FMCSA must grant or deny an exemption within 180 days of receiving your application. According to the law passed by Congress, individuals with insulin treated diabetes will have to demonstrate that they have control of the diabetes while on insulin. For those with Type 1 diabetes, they are required to have been on insulin for two months before they can apply for the exemption. Individuals with Type 2 diabetes are required to have been on insulin for at least one month. But, as you can see, one or two months is much better than the three year driving rule! 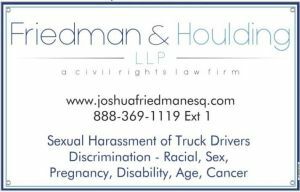 However, according to the FMCSA 391.41(b)(3), a person will be disqualified from operating a commercial motor vehicle if they have a medical history or clinical diagnosis of diabetes mellitus currently requiring insulin for control. The exception to this rule is if the driver is found to be fit under medical conditions based on the findings and recommendations of the diabetes waiver program. 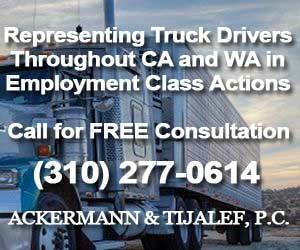 I received a waiver to drive a truck last year 3 weeks after my company terminated me because of medical leave expiration. Now I’m trying to find a driving job, but guess what everybody say’s when you tell them about this waiver? Over 30 years driving with a clean driving record and there is no one willing to give me a chance. I think you need to explain that you do have the waiver, otherwise I think you have a good case of discrimination, I have the waiver and have no problems finding a job. If you just say you have diabetes and dont mention the FEDERAL DIABETES WAIVER they wont hire becuase its illegal to drive interstate without it. I am really sorry to hear your story. My husband drove a truck and hauled Co2 for eighteen years. He was a diabetic that was very sick and needed to be on insulin. After many bouts with gastroperisis in and out of the hospital he went on insulin. We have been to two different endocrinologists and one said basically that he believed my husband experienced hypoglycemic unawareness and then told us a story about one of the Dr.’s he knew being sued because someone was given a license and they killed someone. This person drove a car. The second Dr. told us she did not agree with the DOT’s standard on blood sugar reading. (Theirs was to high). So he is in the process of getting off insulin( which could kill him), so that he can again drive a truck for a living. Maybe it would have been usless for him to ever have gotten the damn thing after all. When the FMCSA says “interstate commerce” that means multiple states correct? As in leaving the state you are in and traveling to others. 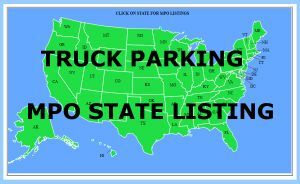 What about “intrastate” commerce? What if I work for a company that’s delivery area is only within the state limits? Is it the same deal? no you can drive intrastate if your state permits driving and using insulin without a waiver. Most of the states have followed federal law and don’t. We are in the same situation as Thomas, awaiting a waiver but FMLA time will expire in 12 weeks and a waiver could take up to 180 days. 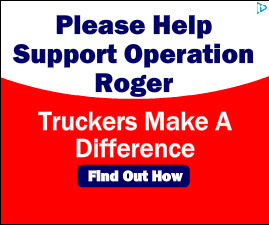 Who will stand for good hard, honest truckers, who can possibly end up loosing their lives as a result of severe depression that can lead to so many other health problems. We have six children to feed cloth and tuition to pay.Short term disability have not kicked in and its been four weeks since we have received a check for working. Often timew It makes you wonder why be honest it seems it never pays off. 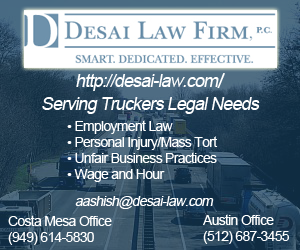 The law must change to protect honest, hard, working truck drivers. No you can drive in canada I just got on insulin Just trying to find written prof I can drive in the US talke to the MI state dep. and they siad yes but want it in writing. exemption to go thru the process? The FMCSA must grant or deny an exemption within 180 days of receiving your application. They actually can review for a year, it really takes 9 months to a year. They are backed up and busy. I would like to know why every time I try to expand my license (lessen my restrictions) why the DMV always takes something away. My license use to allow me to drive in Ventura Co., LA Co., San Bernardino Co., Indio, San Diego, Riverside,. Now that my job only requires me to drive in LA Co. DMV restricted me to that only, when I asked why the said basically told me take it or leave it. I am always afraid to expand my license in fear of the DMV taking more from me. Thankyou for your help . I’ve been type 2 diabetic since 1999. I was put on Insulin injections in Feb. 2008. At the time, I was switching from driving OTR Motor Coach (Greyhound, etc.) to City Bus, which had much better pay and Union benefits, plus home every night. I had also previously been an OTR semi driver. I had just started training for the City Bus job 2 weeks earlier, but when they found out about me being prescribed Insulin, they let me go. I have not been able to get a CDL job ever since, and have bounced around from one crappy paying job to another the last 2 1/2 years (Wal-Mart, Circuit City – which went out of business, etc.). Its a shame that diabetes can rob a 40 year old man of his livelihood. I’ve absolutely hated EVERY job I’ve had since driving. I can’t stand being cooped up in a store. It makes me very angry. The waiver process takes far too long and is way too complicated. There are very dangerous CDL drivers everywhere right now that have Uncontrolled type 2 Diabetes that can drive because they don’t go to the doctor, and they won’t go on insulin, and they somehow lie or cheat to get their medical card. I am controlled with a below 6.5 A1C on Isulin, which I take by the book, yet I can’t drive w/o jumping through Gov’t hoops. BS. Do you have something better to do right now???? Go get your waiver. Thanks for the post, Mac.I hear from drivers who are driving with this condition, and others like yourself who have so many problems. I’m sure the waiver sounds much easier than it really is, and there is no doubt a bunch of red tape to go through. It helps a great deal to hear from drivers who are really experiencing this issue. I like knowing that diabetics can become truckers. I’m 20 and working on getting enough money to get my CDL. I’m also a type 1 diabetic and have been since I was 11 yrs old (so I’ve been a diabetic for nearly 10 years) and I’m wondering how hard it is going to be for me to get my CDL. I love the big rigs and I love to drive and I want to make a career out of what I love to do. I hope that my insulin controlled diabetes won’t prevent me from living my dream of driving trucks intrastate. on dec 15 i was let go from my company due to taking insulin for my diabetes, my question is this; how long does it take for a person to go thru all the DOT requiments and to get back on the road ???? 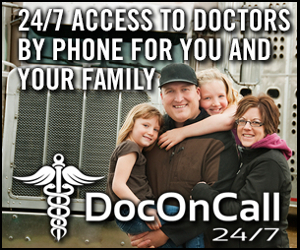 The FMCSA is going through all kinds of changes, including CSA,HOS proposals, and even medical reviews. I suggest you go through the FMCSA website and then contact them as soon as you have read all that pertains to you. Also, we had a DOT medical examiner on one of our radio show a few months ago. Here is the link to that show. my dad lives in ok and they won’t give him his license back now that his dr. has cleared him. Is there a new law about type 2 and being a cdl driver who once had a license taken because of the type 2? Please read the FMCSA laws regarding diabetes. There is a number on the website you can call also. so as i am understanding this. you do not need some kind of document to cross into canada if you are a truck driver with type 2 diabetes on insulin that has the waiver. is this correct? As of Jan 2011 have been declared diabetic with 1 year permit and still trucking. Keeping sugar level under control without medication, but will eventually need to see doctor. It was quite disappointing at first, but the company did hire despite diabetic 1 year permit. 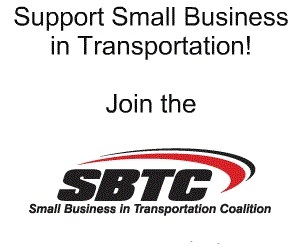 The good part is companies need drivers that can safely deliver cargo at the pay rate offered. I was put on insulin back in March of this year I’m not ready to retire yet and won’t be for several more years . I was informed that since I was being put on insulin I could and should apply for ssi disability since Diabetes is a disability according to the goverment. I’ve been a Type I diabetic for over 18 years. I drove truck for many years, but only local. I recently started the process of getting a waiver to pass they DOT physical so I can drive interstate. Has anyone here successfully done this, or know of someone who has? My Dr. said he doesn’t have any drivers on insulin, but we’re going to give it a shot (no pun intended!). Any tips or suggestions? There is just 2000 of us. Endo’s dont know anything about the waiver. Neither does the majority of the industry. Does anyone know if other injectable meds to treat diabetes are a problem? The endocrinologist would like my husband (Type 2 Diabetic)to try Victoza or Bayetta but he is concerned he will not be able to keep his CDL. Anyone have experience with this? I used byetta and passed physicals for three years. (they knew i was using it.) I lost 20 pounds the first month without trying and advise it well slow down how often you go number two. There are many articles about pancreas problems with its use. I didnt experience any adverse reactions. I stopped because of the cost and being nervous about its use. Funny im now looking into going back on it. I hear there is a different version that is longer acting. I kept it in a thermos in my cooler, and just added ice every couple of days to my cooler to keep the byetta cool so it wouldnt go bad. 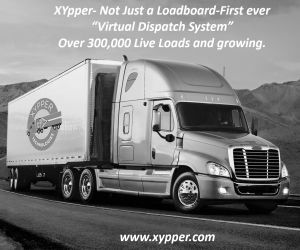 I am 70 years old and also am a interstate class A semi driver with type 2. Byetta is a wonderful drug that works, and you do not need a waiver. The downfall is the cost of the drug. Over the counter at my local Wal Mart Pharmacy is about $400.00 for a months supply. It is supplied in an injectable pen. It comes in 2 strengths. 5mcg, or 10mcg depending on how high your blood sugar is. It is taken twice a day. hey im 42 and a diabetic been unemployed for 2 years off and on. trying to get my CDL so i can drive a truck and try to save my house from foreclosure. 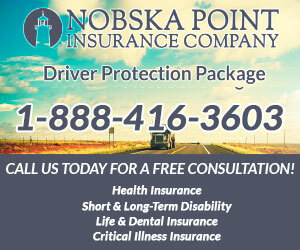 Is it worth it to try and get my CDL considering I already have diabetes. Yes, I was just there 1 year ago. Its going to take at least 9 months to get your waiver. If your not insulin dependent then you don’t need a waiver. What if I got and insulin pump? I received my waiver from the DOT, and just this week I went to the DMV to get the restriction removed from my license. A satisfying feeling after 15 months of working at it! Now I’ll see how difficult it is to maintain it. I’ve been a Type I diabetic for 20 years, and now for the 1st time in my life I am qualified to drive a commercial vehicle across the state line. Hey, that’s great TG, Congratulations! Wishing you all the best! its take 15month to get the dot waver? If i am a driver with type 2 diabetes, on oral medication and need to be on insulin becuse sugar is not in control. There is a non insulin injection medication out, is that condisidered to be exempted in the state of Illinois? That is correct. Please be aware of the following articles which have been written since the FMCSA posted their New Proposed Rule for doing away with the Exemption for Insulin Treated Diabetics. I really appreciate you taking the time to put this information out there. I work as a Legal Advocate with the American Diabetes Association. 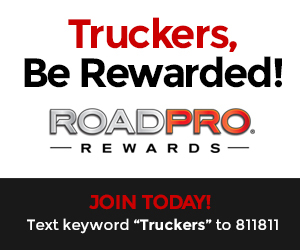 We help truck drivers with diabetes get their license and keep their license. 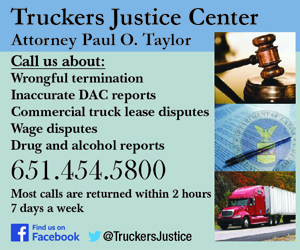 If anyone has specific questions about CDLs, we are glad to help. Interstate, intrastate, HazMat, school bus– all that. 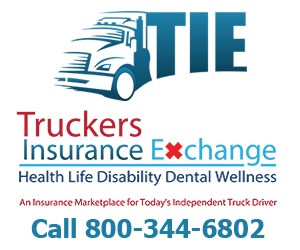 We give free legal information, refer to attorneys and generally fight like crazy to make sure people with diabetes can drive anything they want. If you are safe to drive, you should be able to drive. Period. Anybody who needs help can call 1-800-DIABETES or email askada@diabetes.org. Just say you need Legal Advocacy help and we will get in touch. Thanks again for sharing this information. High quality stuff. My husband has been driving truck for 40 years and has diabetes. He just started taking insulin, can he still drive truck In state without a federal exemption? We read about him needing a state waiver, what is it, and how does he go about getting a state waiver? He is coming out of driving interstate and wants to drive intrastate. We are in Tennessee. I used to have a CDL. I turned it in. I got diabetes, but I don’t know if the DMV knows I ever injected. I have been injecting for four years, but now, after taking care of myself, I do not need insulin any longer and can maintain normal numbers with a pill only. 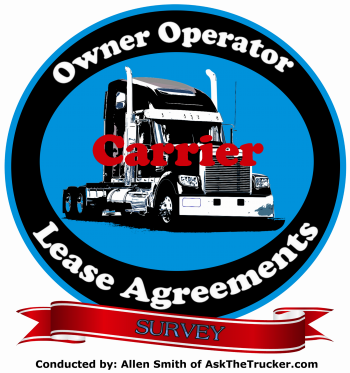 Would I still need the Waiver to return to trucking and would any company actually hire me?